Making history in a medieval town such as Rothenburg ob der Tauber is a challenge which many would find daunting. In particular because the villa in which Mittermeiers Alter Ego has been created is itself a part of Rothenburg’s glorious past, although very little of its historic substance remained before its renovation and conversion into a hotel. Built in 1905 as the villa of soap and perfume manufacturer August Schmieg – who produced his famous AULA soap in the factory built near the station in 1840, a factory which unfortunately no longer exists today – its original elegance and turn-of-the-century charm were lost as a result of repeated conversions and subdivisions into small apartments. However, the villa has always been firmly linked to the history of Rothenburg, not least due to the social significance of the family which owned the factory. So much for the villa’s early story. 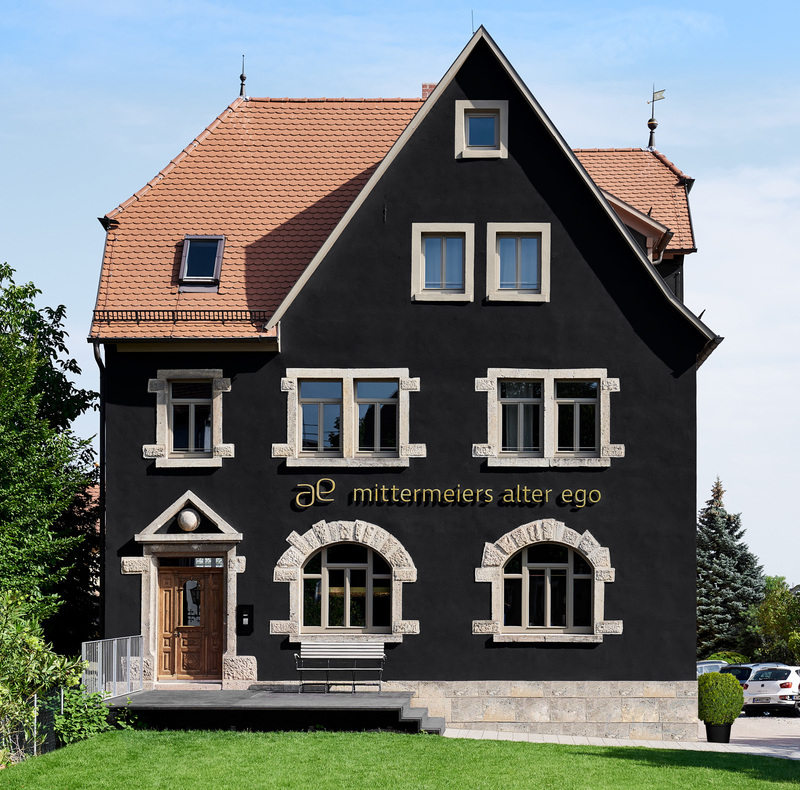 In 2017, in other words more than a hundred years later, Ulli and Christian Mittermeier acquired the old villa with the aim of breathing new life into it and opening up a new chapter in Rothenburg’s history with their hybrid hotel Mittermeiers Alter Ego. Instead of looking back at history and reviving romantic ideas of a supposedly better age, which would perhaps have been the obvious approach in the surroundings of a world-famous medieval city like Rothenburg, the experienced and cosmopolitan new owners decided to fill the historic building with the progressive spirit of its original founders, who themselves were ahead of their time, and to renovate it in a contemporary way. 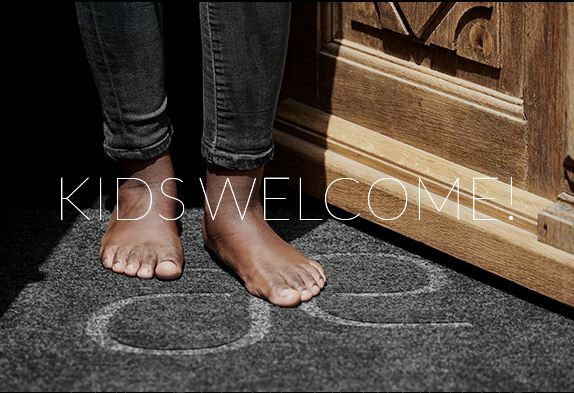 The result is a refuge for modern travellers, who will find a temporary home away from home here. As a tribute to the original owners, the hotel will soon feature an additional small memento in the form of handcrafted soap based on the historical AULA soap – of course produced sustainably and without any chemical additives. That would surely have appealed to the soap manufacturer. 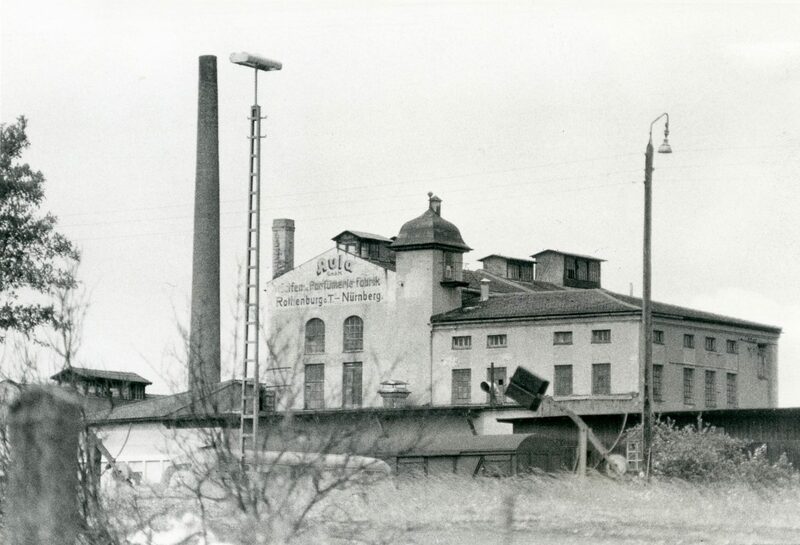 The Aula soap factory was one of the few enterprises in Rothenburg ob der Tauber which successfully managed the change from a small craft business to industrial production. The history of the company covers a period of just under 140 years, from its establishment in around 1840 to its dissolution in the 1970s. What stages of development did soap production in general and the Aula soap factory in particular undergo at that time? And how important was soap during this period? Unfortunately the available sources relating to the subject are very modest. Only half a century after Aula closed its doors for the last time, very few traces of the former factory are left. After the company was closed down the building was demolished. It’s almost as if over time the company dissolved like a piece of soap in water. The Rothenburg city archives contain only three folders relating to Aula, one containing photographs and two with advertising materials and a few documents which, however, enable us to build up a picture of the factory and its products. In a way it is almost positive that the soap factory found itself in financial difficulties on two occasions, with the result that a number of entries can be found in the Nuremberg city archives. In addition, privately owned relics of Aula occasionally come to light, including most recently the soap factory’s embossing punch. This encourages hope that in the course of time we will find more traces which will enable us to shine a brighter light on the company’s history. Until then the following study may perhaps serve as an introduction. Whereas in rural areas households made their own soap until the 19th century, in urban environments soap works developed as a craft profession from the late Middle Ages onwards. The manufacturing process has remained the same over the centuries. In Germany, mainly beef tallow was processed as the basic raw material. The tallow was obtained by melting down the fatty tissue of cattle and then boiling it with the addition of potash. The result of this boiling process was a soft soap. If hard soap was to be produced, sodium salt had to be added to the soap mass. The production of toilet soaps was based on the same basic substances but required more complex processing and involved perfuming the soap with scent. The soft soap was used exclusively for cleaning the household. Hard soap was used most often, not only for washing clothes and cleaning the house but also for physical hygiene. Until the late 19th century toilet soap was considered a luxury article and was unaffordable for large sections of the population. The use of toilet soap in body care did not begin on a large scale until the end of the nineteenth century. In Rothenburg ob der Tauber soap production was originally a craft, as the “Order of Soap Boilers” dated 1736 testifies. It was carried out by family businesses, which in addition to soap often produced tallow candles from the excess fat. These were a cheap source of light until the advent of petroleum lamps. Beeswax candles gave a better light and a much more pleasant smell, but were unaffordable for most people. A list of soap makers in Rothenburg dated 30 March 1839 is headed by Georg Klenk. Georg Klenk, or Johann Georg Klenk to give him his full name, was born in 1811 and must be regarded as the founder of Aula. He operated his soap making business at Georgengasse 5, where he produced not only soap but also lamps. Johann Georg Klenk’s daughter Helena married soap maker August Schmieg (1846-1910). The records don’t indicate whether August Schmieg did his apprenticeship as a soap maker in the workshop of Johann Georg Klenk and then married his master’s daughter. August Schmieg later took over the soap making business at Georgengasse 5 and continued the business. This soap making enterprise was by no means the only one of its kind in Rothenburg. The land registry records mention three other companies, but it is far from clear how long these soap makers survived. However, the fact that a number of soap making operations were able to establish themselves at the same time indicates the growing demand for soap. Hygienic awareness among people had been rising since the 1850s, which led to an increase in the use of soap. As the third generation of the family Heinrich Schmieg (1883-1936) learned the craft of soapmaking at the Georgengasse works. Heinrich Schmieg was to complete the transition from a small craft operation to a soap factory. In the course of the 19th century there were several impulses that forced the transition from craft soap boiling to factory soap production. Significant progress had been made both on the raw materials side and in the development of production technology. The French chemist M. E. Chevreul (1786-1889) first gained important insights into the chemistry of fats. He proved that in principle all oils and fats could be used for soap production. In addition to beef tallow and olive oil, a large number of tropical oils, which were brought to Europe by world trade, were now also used. In addition, potash and caustic potash were produced electrolytically and thus became available in large quantities. An important component of toilet soap was its scent. Here, thanks to vanillin, the first of a whole series of nature-identical fragrances was created artificially. Vanillin was industrially produced in Holzminden from 1874. In the field of production technology, at the end of the 19th century developments also took place that supported the transition from handicraft to industrial production. For centuries soap had been boiled over a fire. With the increase in the price of wood as fuel, steam for soap production was introduced at the end of the 19th century. The hot steam made it easier to regulate the temperature in the boiler. The soap mass did not boil over so easily and did not burn. In addition, the incoming steam stirred the mass in the boiler. Steam could also be used in general to power engines. Steam-operated cutting machines and presses achieved a more uniform manufacturing result. In addition, the wooden moulds previously used in soap production were replaced by more robust iron moulds. The interaction of these developmental stages led to the formation of the soap industry at the end of the nineteenth century. However, efforts were not only made to improve soap production, but also to increase the washing effectiveness of the soap itself. Here the development of soap powder was a groundbreaking achievement. In order to understand what progress the washing powder represented, we need to realise what it meant to wash laundry up to that time. Doing laundry was hard physical work. The clothes had to be soaped and rubbed on a washboard. Afterwards they were boiled twice, wrung out and then laid out for bleaching on the lawn. In 1907 Henkel launched Persil, the first soap powder which was complete on its own, on the market. After soaking, the laundry only had to be boiled once with Persil. Without rubbing and scrubbing the laundry became dazzlingly white, smelled good, was disinfected and treated gently compared to being rubbed on a washboard. The basis for this was the development of an oxygen-containing bleaching agent, perborate, which also replaced lawn bleaching. 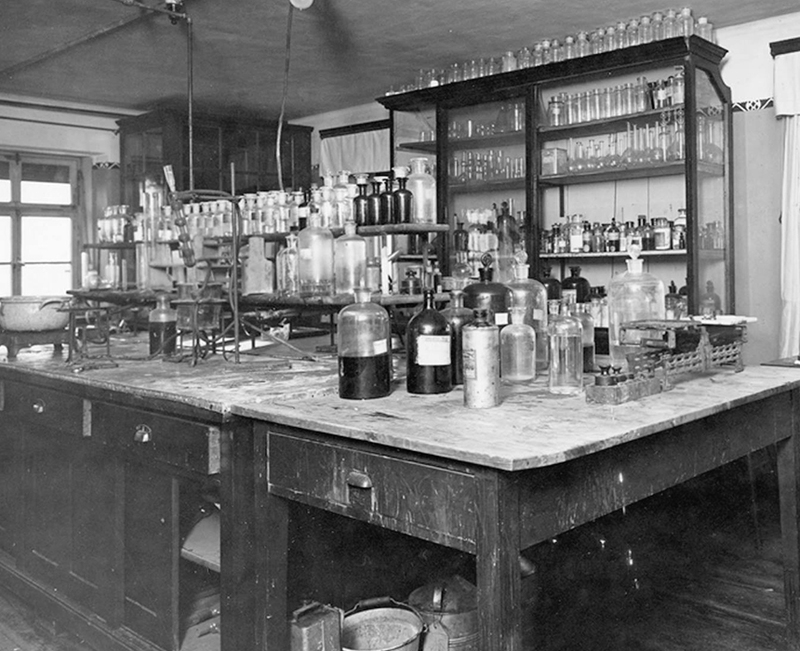 This was the stage in the development of soap production when Heinrich Schmieg married Anna Barbara Baumann (1883-1955) in 1908. She was the only child of Johann Friedrich (Vitus) Baumann and his wife Anna Barbara Fellner. The Baumann family had preferred to escape the medieval narrowness of Rothenburg. They lived just outside the city gates at Würzburger Straße 1 in an imposing Wilhelminian-style villa, which was built around 1905. Whether this marriage provided the decisive impetus for Heinrich Schmieg to take the step from a craftsman’s business to the industrial production of soap remains to be seen. What is certain, however, is that Anna Schmieg contributed financially to the construction of the soap factory in Rothenburg. At that time Rothenburg was not the ideal location for the development of an industrial company, and until then there had only been three other factories in the town. As early as the turn of the century the city saw its potential more in tourism than in industry. Together Anna and Heinrich Schmieg bought the site near today’s railway station (Bahnhofstr. 23) and had a soap factory built on it in 1912. With its building, detached steam chimney, shed, storage area and courtyard the factory represented the latest technology. The site was conveniently located near Rothenburg’s railway station and had its own railway siding. 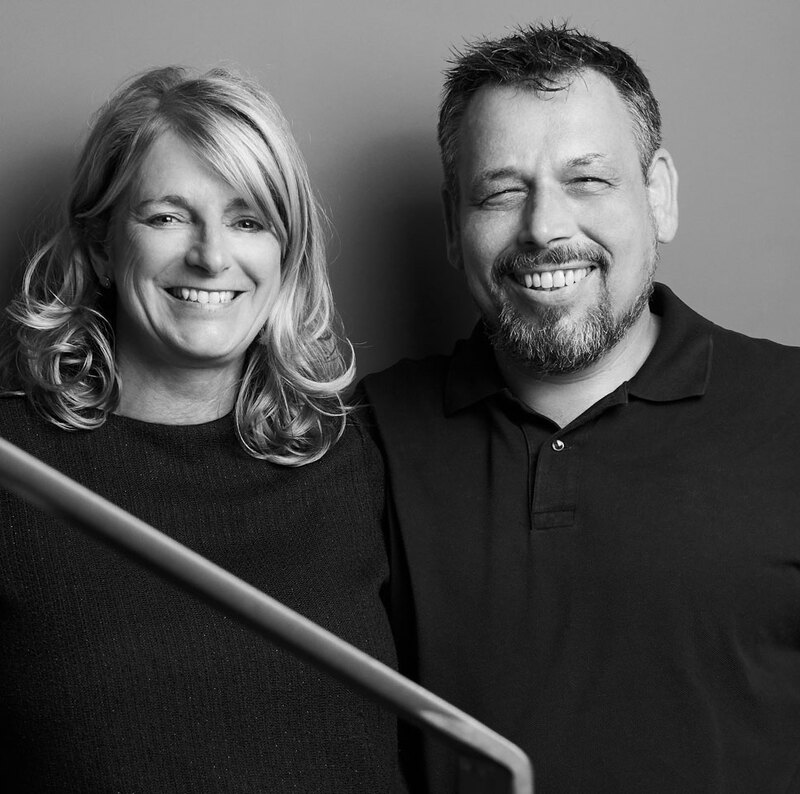 With the construction of their soap factory the Schmiegs were responding to developments in the raw materials, production technology and increased demand. At the turn of the twentieth century an industry had developed out of the soap boiling trade. For example, in 1895 overall production of soaps in Germany comprised 180,000 to 200,000 tonnes. By 1913 this quantity had already grown to 550,000 tonnes per year, 150,000 tonnes of which were soft and 250,000 tonnes hard soap. Soap powder already accounted for 100,000 tonnes, with toilet soaps representing the smallest element at about 50,000 tonnes. The exact duration and volume of production of the Aula soap factory on the eve of the First World War can no longer be traced today. With the beginning of the war in September 1914 the supply of fats to industry collapsed. Fats and soaps were rationed from 1915, and only small quantities of oils and fats could be obtained for the soap industry from international trade. Only the largest companies were included in the allocation. Of the 1600 soap factories that existed at the end of the imperial era, 180 continued to produce after 1914, and only 65 of them were able to maintain production in the long term. Whether the Rothenburger Seifenfabrik was one of them is not clear. The First World War disrupted the whole of Europe and marked the end of an era. The First World War was over – time for a new beginning. Heinrich Schmieg moved with his family to his parents-in-law’s villa at Würzburger Str. 1. The house at Georgengasse 5, the old soap works, was sold to August Reingruber, who set up a soap shop there. Troubled times then began. Economic development in the Weimar Republic was shaken by crises. Inflation and the global economic crisis were – in a negative sense – the outstanding events, with short periods of economic recovery in between. In 1920 the soap industry was deregulated. For the Rothenburger Seifenfabrik this was the opportunity for a new beginning: on 1 July 1920 the articles of association for the new company were signed. Three shareholders came together to found the company in order to give it a stable start. Heinrich Schmieg and Friedrich Scheib, a businessman from Nuremberg, were each represented with a contribution of 100,000 marks, while Hans Kreiselmeier from Rothenburg contributed 50,000 marks. The company was registered in Nuremberg, but the factory was still in Rothenburg. The newly founded company was called “Rothenburger Seifen- und Ölfabriken Schmieg & Scheib GmbH”, while its trade name remained Aula. The abolition of the restrictions on the supply of raw materials to the soap industry initially created a favourable starting situation. There was a lot of catching up to do. During the war there had been a lack of soap, and the products available were of modest quality. As in the pre-war period, a high percentage of oils and fats for the soap industry came from abroad: in 1925 it was 80%. As a result, soap prices were highly dependent on currency fluctuations. When the Weimar Republic declined into inflation in 1923, this meant that the cost of oils and fats became practically incalculable. At the same time demand collapsed massively due to inflation. As before the First World War, the companies that managed to escape this development unscathed found themselves confronted with overproduction in the soap industry as early as the mid-1920s. This resulted in falling sales prices. Unilever and Henkel were the dominant market leaders in 1930. Henkel had launched a number of new products on the market and now controlled the entire laundry process with Sil, Persil and Henko. During this period Henkel alone consumed 45% of the fats available for industrial purposes in Germany, and accounted for 80% of soap powder production. The competition was fierce and often only the customers’ loyalty to their local soap factory helped small producers to stand their ground against the big corporations. Another way to survive the fierce competition in the soap industry was diversification. In order to balance the entrepreneurial risk across several pillars, it was a useful option to enter the chemical industry. The Rothenburger Seifenfabrik Schmieg & Scheib initially managed to survive the inflation period and the fierce competition afterwards. In 1926 there had been a change in the shareholder structure. Heinrich Schmieg increased his capital stock by 50,000 marks, while Friedrich Scheib reduced his shareholding by the same amount. Heinrich Schmieg now had the majority holding. Weakened by inflation and the ongoing price war in the soap industry, the 1929 global economic crisis hit the company hard. On 17 June 1930 Schmieg & Scheib suspended payments and a few days later filed an application to avert bankruptcy. The bankruptcy court in Nuremberg agreed to liquidation settlement proceedings. This procedure was aimed at the preservation of the company, and was considered acceptable if the payment of a minimum amount to the creditors seemed achievable. In September 1930 the compulsory settlement was confirmed. The settlement proceedings were cancelled and Schmieg & Scheib was dissolved as a company. The activities of Schmieg & Scheib in Rothenburg were taken over by the newly founded AULA G.m.b.H. The shareholders’ agreement to found Aula G.m.b.H. was concluded on 10 February 1931. Again, three shareholders were involved in the foundation of the company: Hans Möschel and Lucian Goll, both from Nuremberg with a respective capital contribution of 10,000 Reichsmarks, and Anna Schmieg, who also held a one-third stake in the company. However, her cash contribution was only 5,000 Reichsmarks, as she had already contributed the office, laboratory and furnishings worth 5,000 Reichsmarks to the company. In the same year Lucian Goll sold his shares in Aula to Ernst Möschel. The contract concluded by the three partners on 2 September 1931 determined the salary of the managing directors. It provided for remuneration of 800 Reichsmarks each for the managing directors. Heinrich Schmieg only received a salary of 200 Reichsmark, however, since 600 Reichsmarks were paid to Anna Schmieg. The company’s product range was divided into three divisions: soap, perfumes and chemicals. The 1932 product brochure of Aula G.m.b.H. lists a total of 49 products. These included various hard soaps, soft soaps, toilet soaps and detergents. The list also included articles for the kitchen and household, ranging from shoe polish via cooking oil to floor polish. The oils and fats category included leather grease, machine oil and automotive oil. 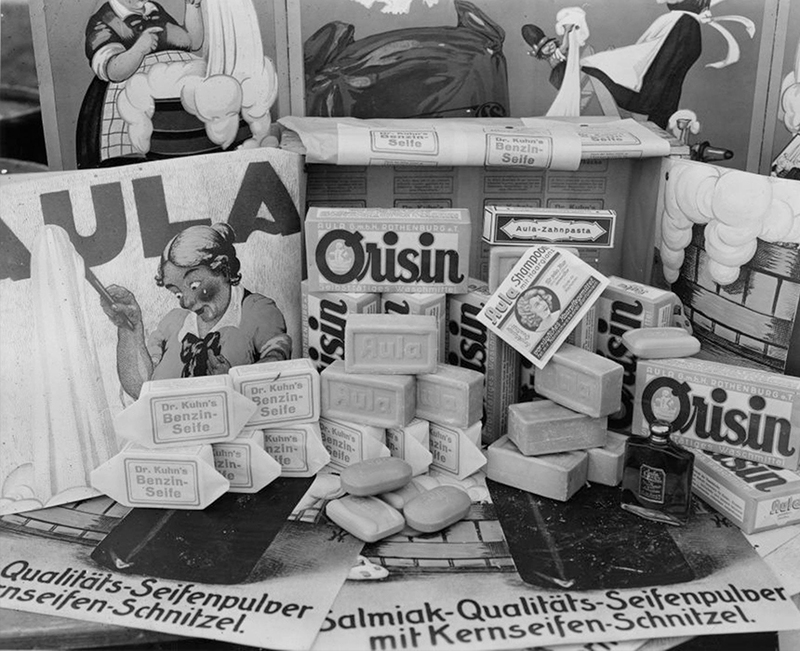 The striving for self-sufficiency in National Socialist economic policy led to serious problems in soap production well before the start of the Second World War. The soap industry was still heavily dependent on imports of foreign raw materials. Large quantities of molten tallow were imported from America and Australia, for example. Combined with the prevailing shortage of foreign exchange, Germany’s high level of dependence on fat and oil imports led to a quota system for these raw materials as early as 1933. In addition, the fatty acid content of hard soap had to be reduced from 60-65% to 48-52%. The soap industry was prohibited from construction and expansion. The ‘Centre for monitoring industrial fat supplies’ had been established as early as 1933. Its task was to distribute the limited supplies of fat as a raw material. In order to counteract the lack of fat in the soap industry, companies like Henkel adopted unusual strategies. In 1935 Henkel even began using non-regulated fats such as whale oil, and entered the whaling business in 1936. For the Aula soap factory in Rothenburg, however, an even more serious problem arose. Heinrich Schmieg died in 1936 at the age of only 53. He had retired from the management of the company as early as January, and died only a few months later on 23 April 1936. We do not know whether his son, Friedrich August Schmieg, was ever intended to follow in his father’s footsteps and join the management of the soap factory. The fact is that Friedrich August Schmieg moved from Rothenburg to Frankental in the Palatinate in 1936. With the beginning of the Second World War on 1 September 1939 the economy in the Third Reich was fully converted to satisfy the needs of the war. The ‘Centre for monitoring industrial fat supplies’ was transformed into the ‘National office for industrial fat supplies’ (RIF). It controlled soap and detergent production and also shut down production facilities. A letter from the RIF to Aula G.m.b.H. from 1941 has been preserved, headed: “Additional production task Se 11 (processing permit)”. It ordered the company to process 2.3 tonnes of vegetable and animal oils and fats allocated to it into washing (soap) powders between 1 July 1941 and 30 September 1941. The “additional production task” suggests that the factory was able to continue production at least temporarily during the Second World War. The soap factory was spared during the heavy attack on Rothenburg at the end of March 1945. However, the Schmieg family’s villa in Würzburger Straße burned down to the first floor. A few weeks later, on 8 May 1945, the war ended. The fate of the only son and heir, Friedrich August Schmieg, remains unclear; he is believed missing in Stalingrad. The situation in Germany in the immediate post-war period was desolate. The economy was on its knees. Whereas in wartime a minimum production volume was maintained in the soap industry with the help of the central management of raw materials, the supply of raw materials had now completely collapsed. In addition, funds were lacking to buy fats and oils abroad. The domestic market was far from sufficient to supply the industry and it was not until the end of 1947 that significant quantities of raw materials could be imported again for the first time. Conditions in the Aula Seifenfabrik in Rothenburg at that time are illustrated in an article in the newspaper “Fränkische Landeszeitung” of 25 February 1948. The tour it describes began in the “women’s workroom”, where the automatic filling and weighing machines for washing powder and additional detergents were located. Here 25 packages of washing powder could be packed per minute. The boiler and engine house was the cornerstone of the soap factory. Steam engines put the plant into operation and the necessary electricity was provided by a generator. The heart of the soap factory was the boiling plant in which the huge boilers were located. Soap production took place in twelve boilers, with a capacity ranging from 5 tonnes to the largest boiler with 65 tonnes. Only a few men under the supervision of a boiling master were required for the operation of the plant, which was electrically controlled. The raw materials for the plant were supplied by tank wagons whose contents were poured into the factory’s underground tanks. Linseed oil and soya oil were used and, according to the article, peanut, coconut and palm kernel oil as well as olive oil and beef tallow. The raw materials situation was described as follows: “All these raw materials, 70% of which had to be imported from abroad during peace time, especially from Africa, America and India, are unfortunately very rare today”. The various types of soft, hard or toilet soap were embossed by an automatic double press. The plant had its own machine for the production of the crates in which the soaps were packed and shipped. The currency reform of June 1948 and the introduction of the German mark instead of the Reichsmark in the western zone saw a long-lasting economic upswing. Subsequently the supply of raw materials to the soap industry improved, thanks to the renewed integration of the Federal Republic into world trade. As early as 1950 there was overcapacity in the toilet soap industry. This resulted in a drastic price drop of 36% between 1951 and 1954 – a period during which 235 soap manufacturers gave up their operations. Even before the Second World War the shortage of fat supplies had led to the production of synthetic-based body care products. These soap-free skin cleansers, which were also kinder to the skin than conventional soap, began to conquer the market in the 1950s. 1955 saw the death of Anna Schmieg and a few days later Hans Möschel, two of the partners who had founded Aula G.m.b.H. in 1931. Since Anna Schmieg’s son and heir was still missing in Stalingrad, her executor Dr. Hans Kreiselmeier took charge of the shares and sold them to the remaining shareholders in Aula. Hans Möschel’s shares in the company passed to his heirs after his death. Aula continued to produce soap-based cleaning agents in the following years. The photograph of an Aula advertising display of 1960 shows an excerpt from the company’s product range. This included Aula soap, Aula Shampoo with conditioner, Aula toothpaste and Aula’s own Orisin detergent brand, described on the packaging as a “full washing powder”. In 1960, some 100 to 120 companies in Germany were still producing soap and detergent, with ten large companies accounting for 80% of total production. The production of toilet soaps was increasingly dominated by a few manufacturers. Among the best-selling soaps in 1965 were “Lux”, “Palmolive”, “Fa” and “Rexona”. This year the number of soap manufacturers represented only 3% of the manufacturers who had been in business in 1875. With the economic slowdown – the Federal Republic had experienced an uninterrupted upswing until 1966 – the days of soap making in Germany also seemed to be coming to an end. Sales figures have been falling steadily since the 1970s. Instead of hard soap, only toilet soap or the newly developed skin cleansers were used in body care. In washing clothes, hard soap was replaced by washing powder and special cleaning agents replaced soft soap in household cleaning. The successor products were based on synthetic raw materials and no longer on boiled soap. With the decline of the soap industry in Germany time also ran out for the Aula soap factory in Rothenburg. Although the 1969 Aula price list offered a wide range of 114 products and seemed to meet all customer requirements, ranging from all-purpose cleaners via dance hall floor smoothers to toothpaste, Aula’s traditional soap-based products were no longer suited to the times. On 15 February 1972 the shareholders’ meeting accordingly resolved to dissolve Aula GmbH. In 1974 bankruptcy proceedings were initiated against the company’s assets, and the Aula soap factory finally closed in February 1975. Ever stayed in a real piece of Rothenburg history?